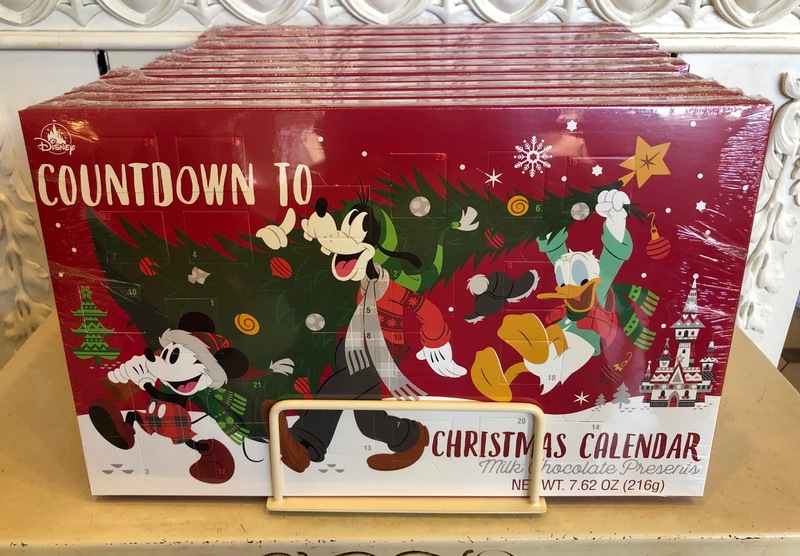 My favorite time to visit Disney World is over Thanksgiving Break, because we can enjoy the holidays at Disney without the Christmas Break crowds. 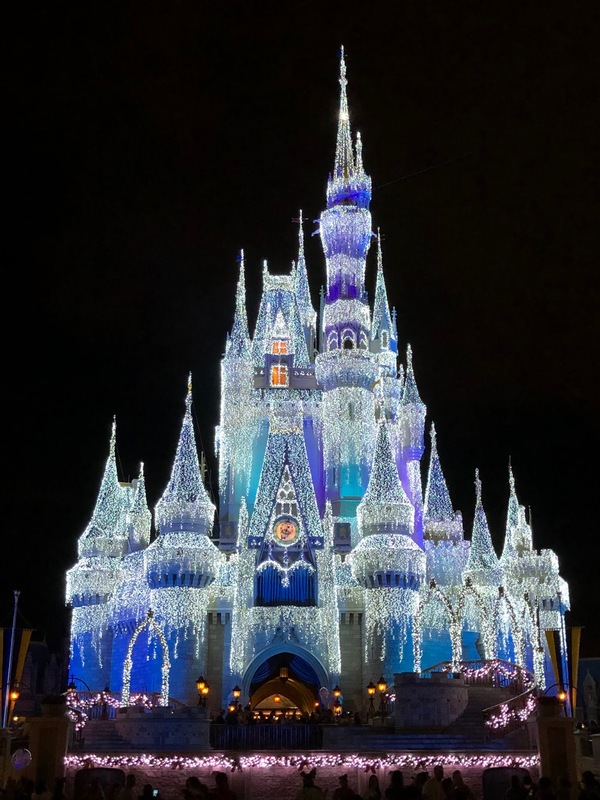 We would probably prefer to vacation at Disney World in early December, but my husband and I work at a school, and our daughters are in 8th grade, so we limit long vacations to our school breaks. 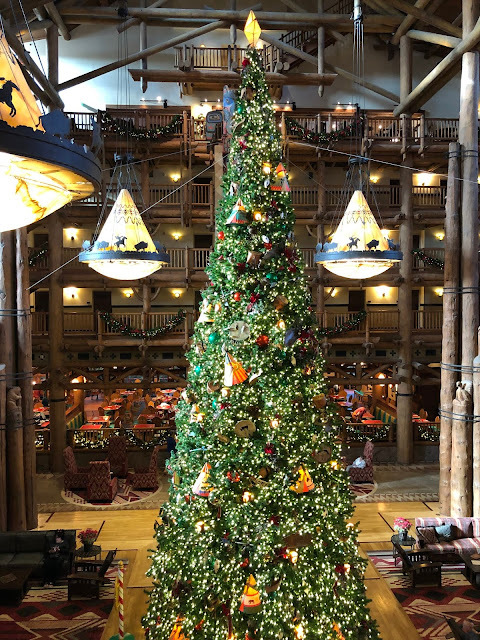 This Thanksgiving Break, we stayed at Copper Creek at Disney's Wilderness Lodge, one of our Disney Vacation Club home resorts. 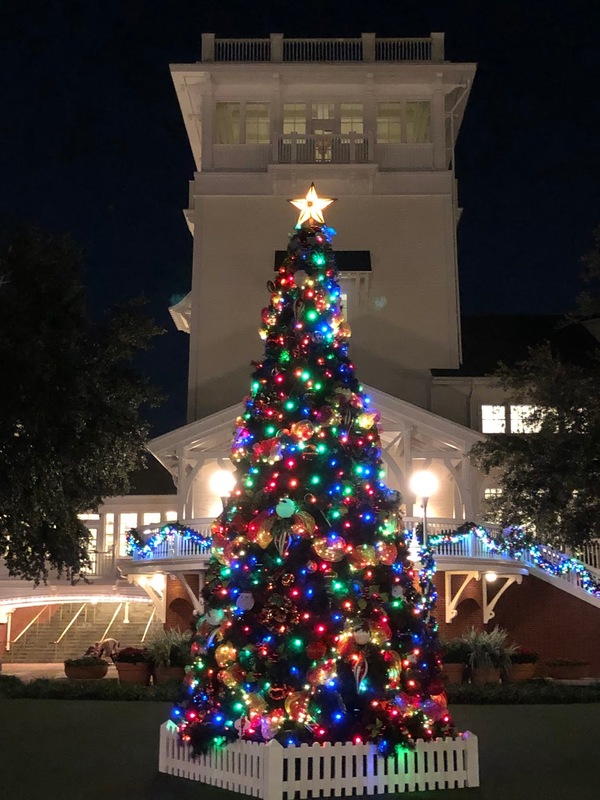 The Wilderness Lodge is my favorite resort at the holidays. I could sit for hours in front of the fireplace in the lobby. The Epcot International Festival of the Holidays runs from November 18th to December 30th this year. Gluten-friendly options at the holiday kitchens are noted in the Festival Passport, and on the signs at each food booth. Besides the gluten-friendly options at the Feast of the Three Kings, there is a peppermint sundae at Holiday Sweets and Treats, and hand-carved smoked ham with green beans and sweet potato casserole at the American Holiday Table. 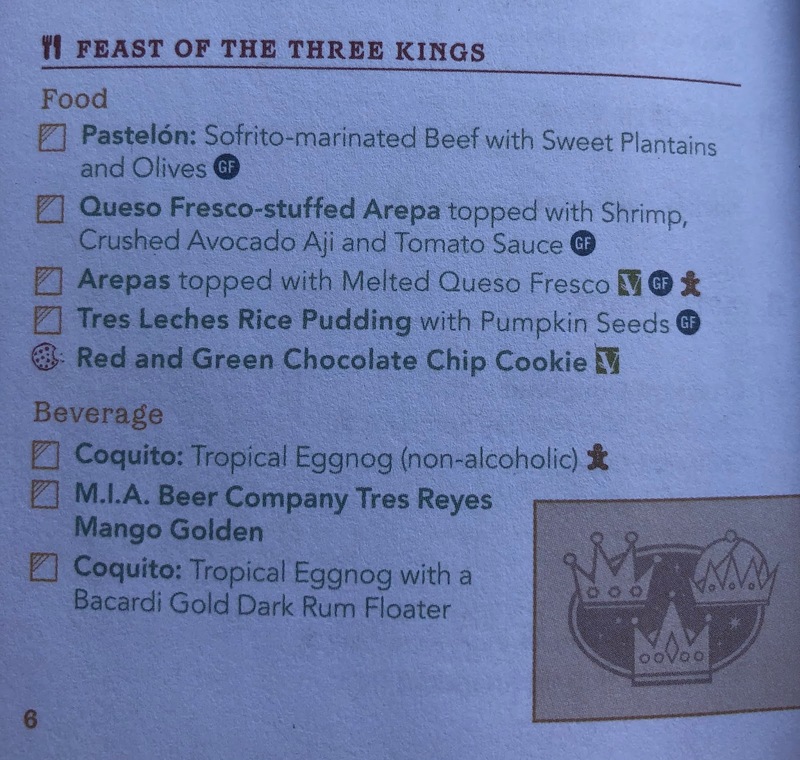 We tried all the gluten-friendly options at the Feast of the Three Kings. 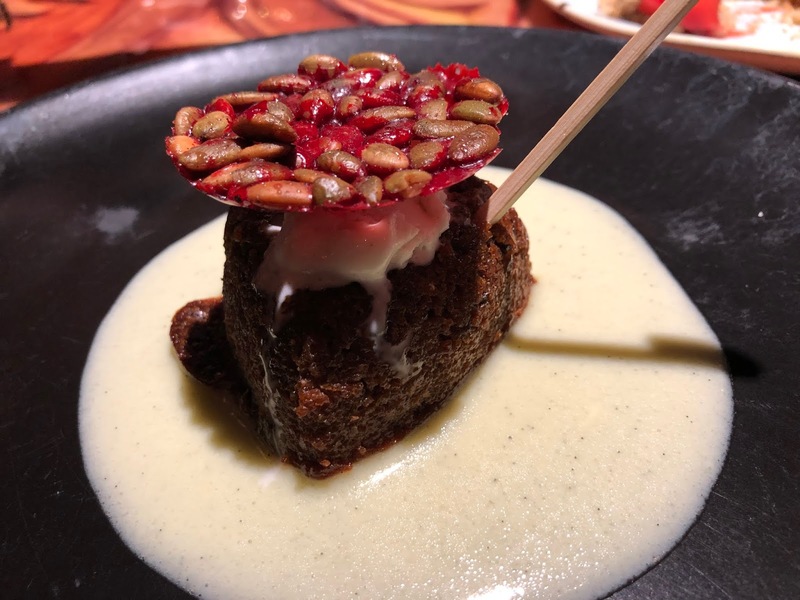 My favorite savory dish was the pastelon with sofrito-marinated beef, sweet plantains, and olives. I loved everything about this dish, except the olives, which seemed out of place, but keep in mind that I rarely like olives. 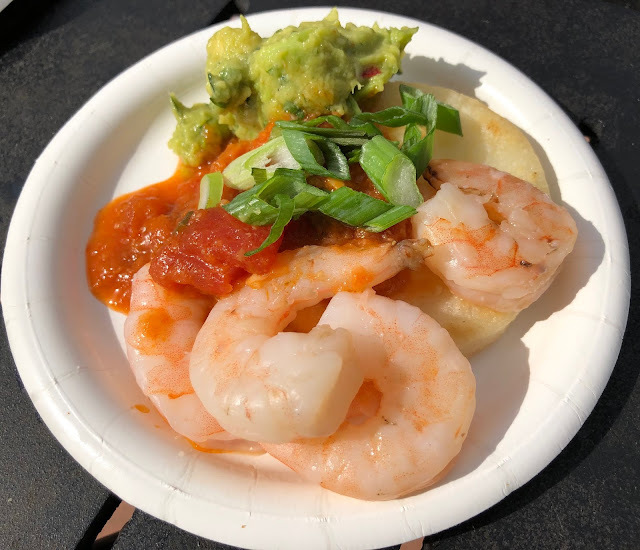 The arepas topped with melted queso fresco were good, but I preferred the queso fresco-stuffed arepa topped with shrimp, crushed avocado, aji, and tomato sauce. We were all in agreement that our favorite dish at the Feast of the Three Kings was the tres leches rice pudding with pumpkin seeds. 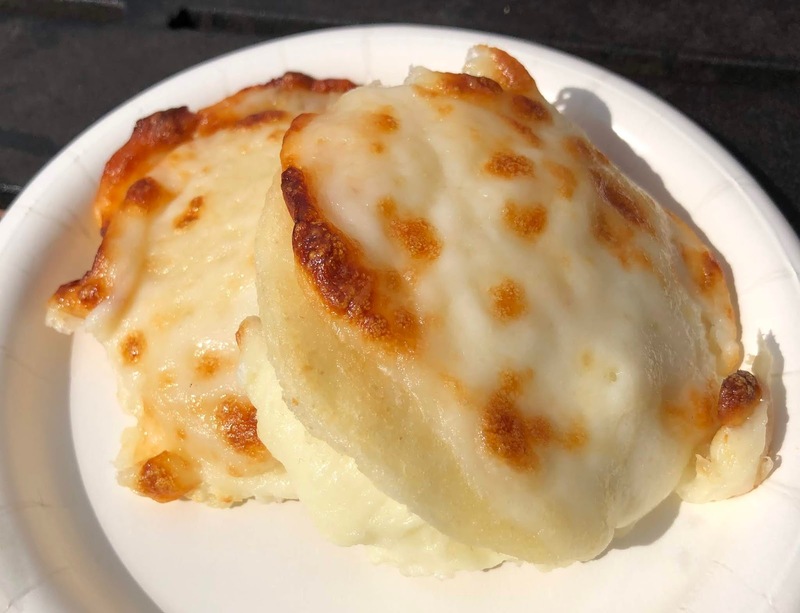 I really regret not having this more than once, especially considering that we visited Epcot three times on this trip. 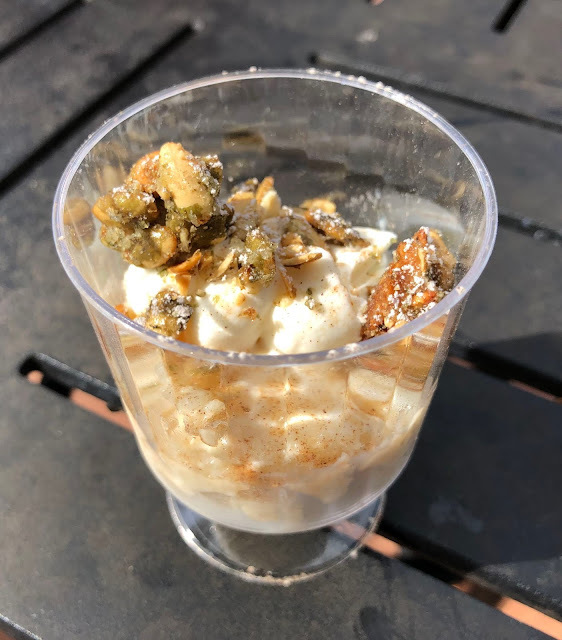 Later in the week, we walked over to Epcot for dessert after having dinner at Trattoria al Forno on Disney's BoardWalk. My daughter Emma loves the chocolate macaron ice cream sandwiches at L'Artisan des Glaces. 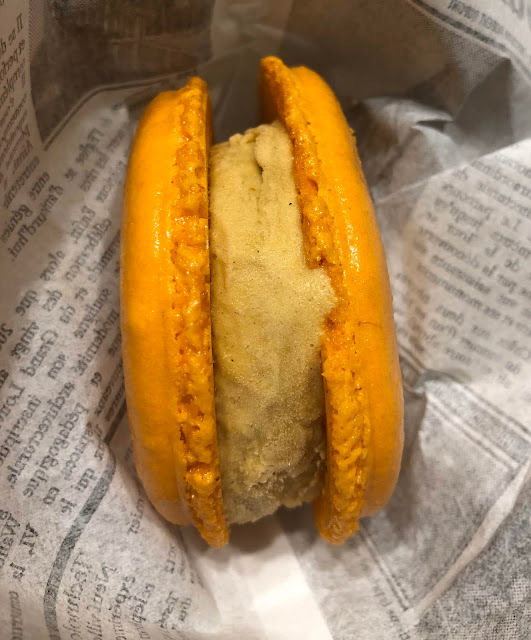 After double checking to make sure that they are still gluten free, I ordered the seasonal pumpkin spice macaron ice cream sandwich, which I have always enjoyed. 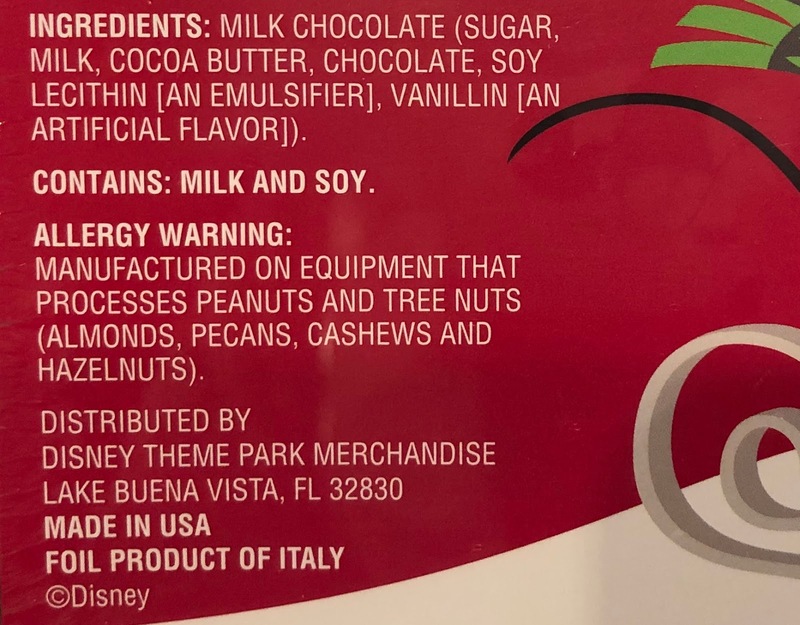 After Thanksgiving, the seasonal flavor changes to peppermint. Kringla Bakeri Og Kafe in the Norway Pavilion recently reopened after a long refurbishment. 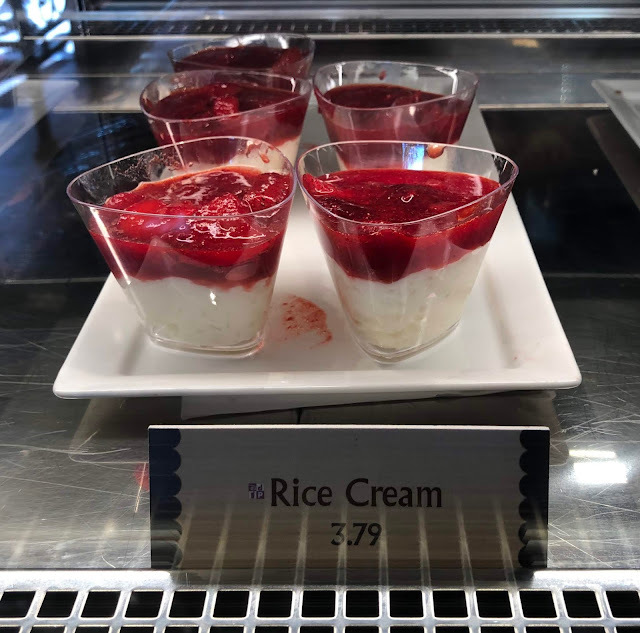 Their rice cream with strawberry topping is gluten free, and one of our favorite dessert options at Epcot. 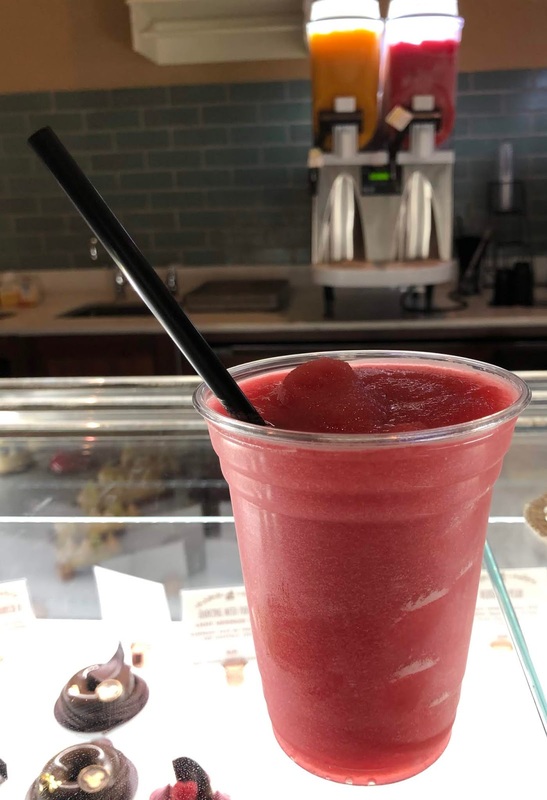 One of best seasonal treats I had over Thanksgiving Break was the cranberry chardonnay wine slush at Amorette's Patisserie in Disney Springs. 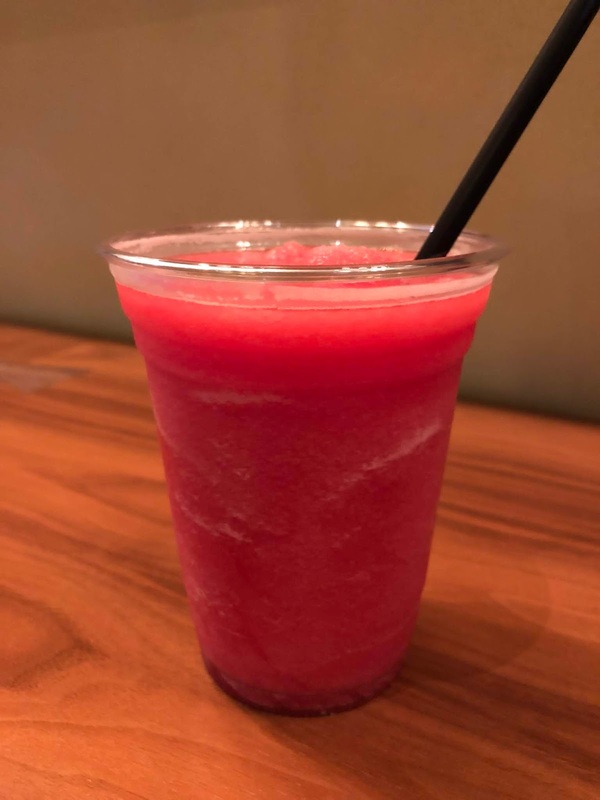 The cast member I spoke to about ingredients told me that the wine slushies contain wine, fruit, and water. I loved the cranberry chardonnay wine slush so much, we set out to visit Disney Springs our last night at Disney World, but the traffic and parking situation was so bad, we gave up and went to Disney's Port Orleans Resort - French Quarter for gluten free beignets. Pumpkin spice beignets were available at Sassagoula Floatworks and Food Factory again this year. 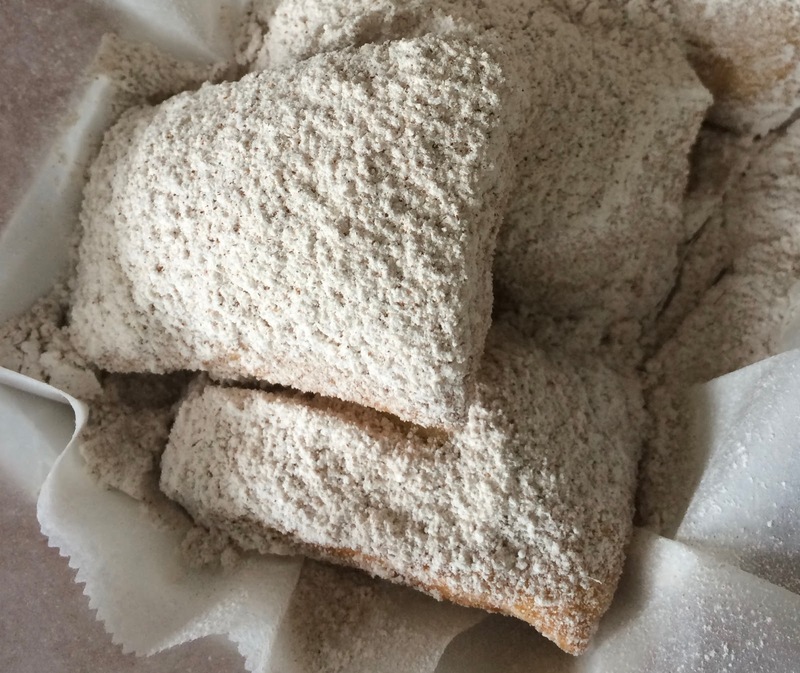 The recipe is the same as the traditional gluten free beignets, but they add pumpkin pie spice to the powdered sugar. We like the pumpkin spice beignets, but I have always preferred the traditional beignets with dipping sauces. Our favorite is the strawberry sauce, but we also love the chicory ganache. 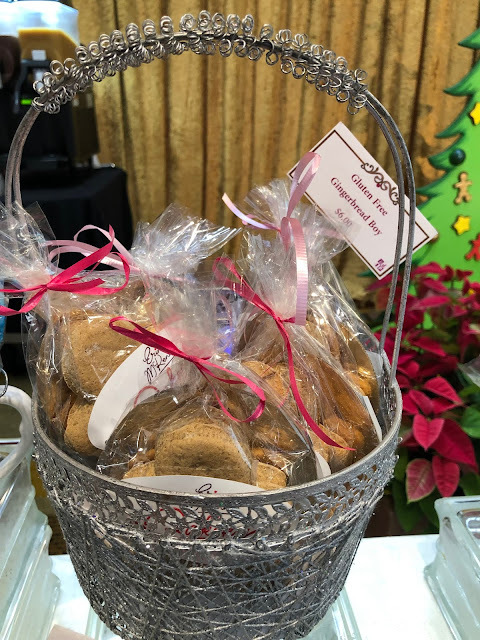 Currently, Sassagoula is offering gingerbread spice beignets, which we have not tried yet. 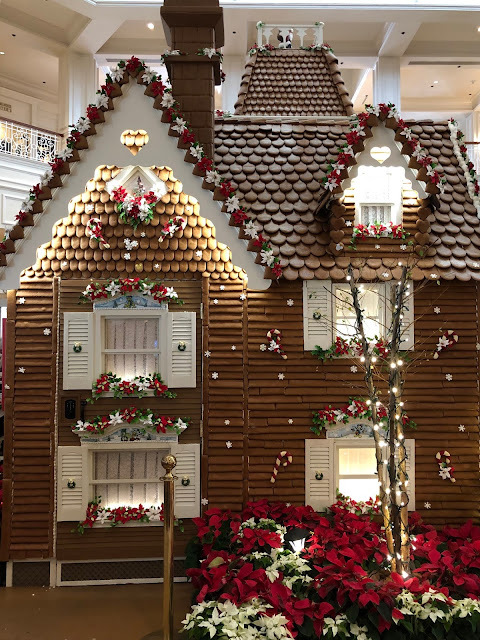 A trip to Disney World at the holidays is not complete without a stop at the Gingerbread House at Disney's Grand Floridian Resort. The 30 minutes line at the Gingerbread House might have been the longest line we waited in at Disney World. All the gluten free items this year are made my Erin McKenna's Bakery NYC in Disney Springs, so they are gluten free, dairy free, egg free, soy free, vegan, and kosher. 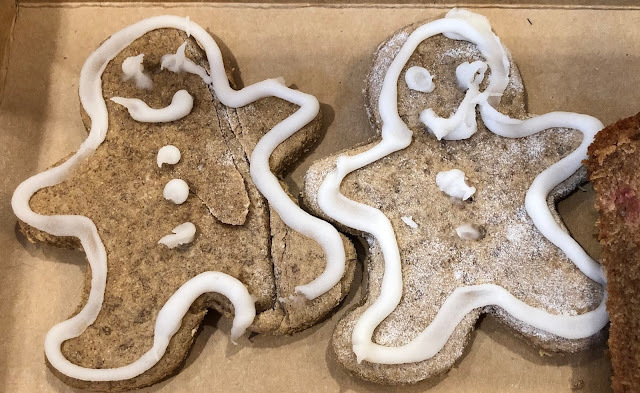 I stocked up on gingerbread man cookies to take home with me. 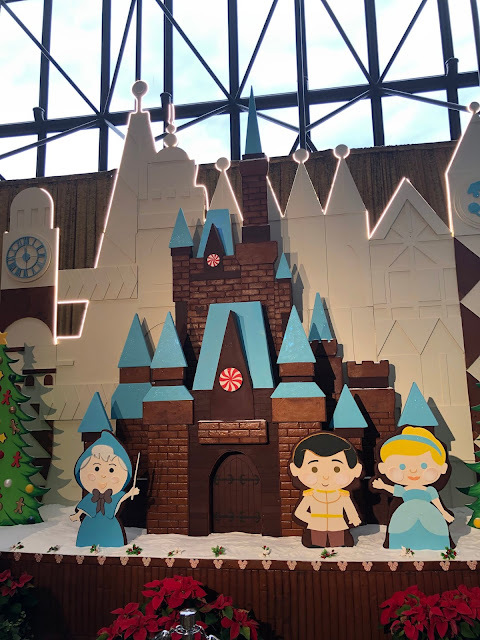 Later in the week, we stopped at Disney's Contemporary Resort to see their Cinderella Castle gingerbread display. I bought a few more gluten free gingerbread boys while we were there. They were a little bit thicker than the gingerbread cookies I bought at Disney's Grand Floridian Resort, but they all tasted great. Twice during our trip, we stopped at Erin McKenna's Bakery NYC in Disney Springs. 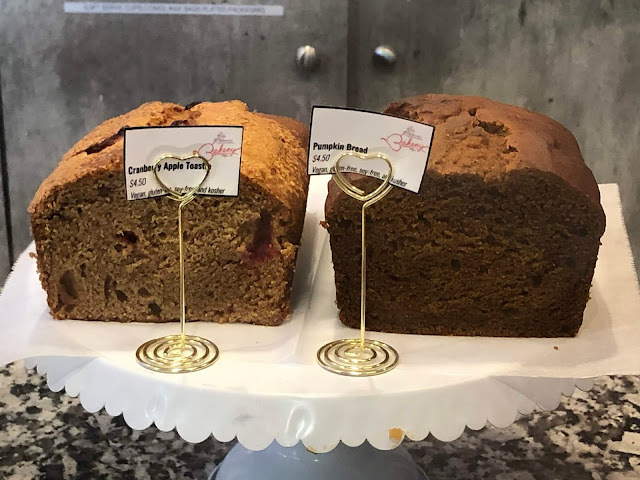 They had several holiday options to choose from, including pumpkin bread, pumpkin pie, and cranberry apple toastie, which I highly recommend. I did not eat my cranberry apple toastie until the day after I bought it, and it was still super fresh. 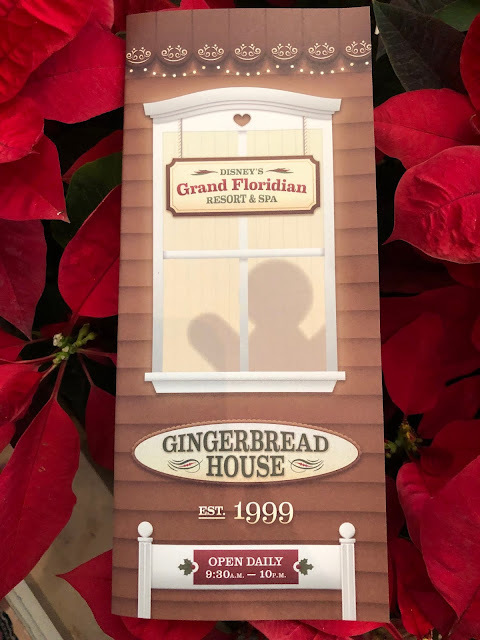 The first day we stopped in, I noticed a cast member decorating gingerbread cookies through the window. 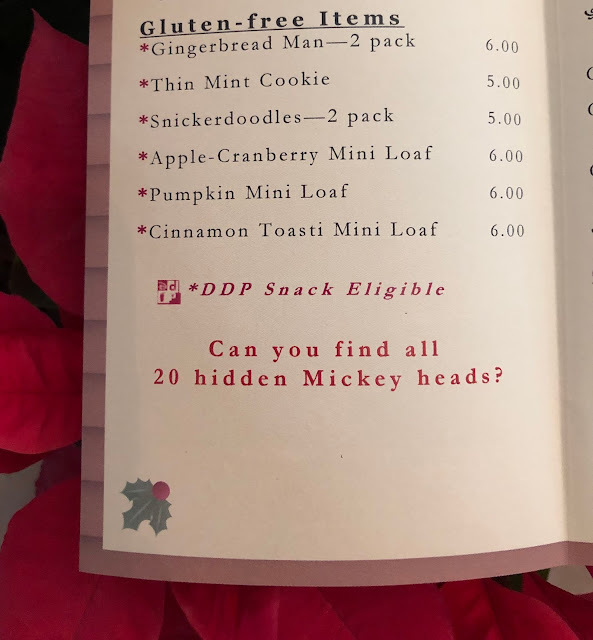 They were not in any of the display cases, but I asked if I could purchase some. 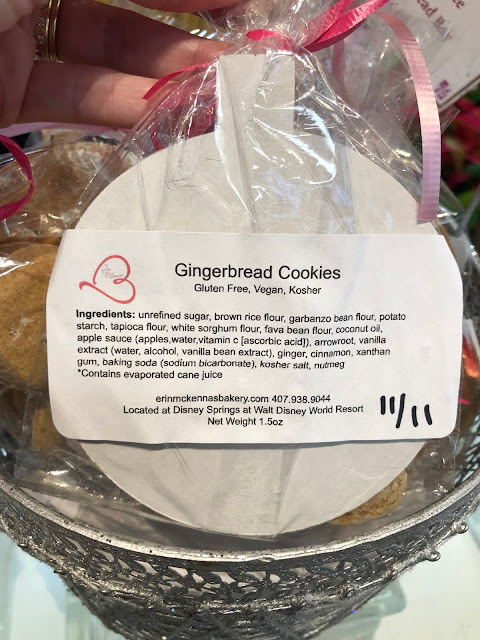 They did not look very good, but I regretted not buying more, because they were the best gingerbread cookies we had on this trip. 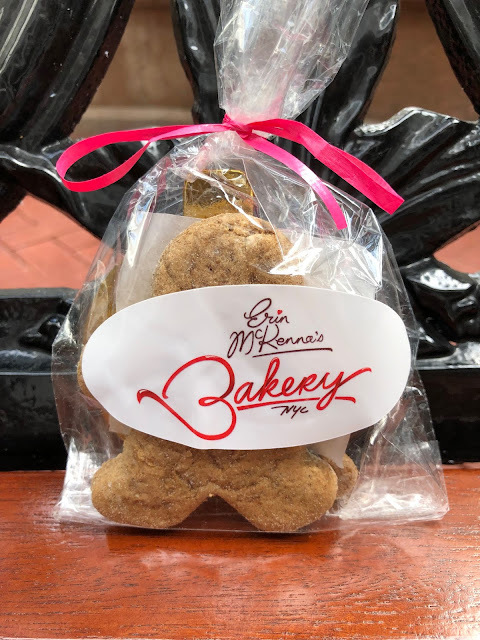 I was told that I could special order them with 48 hours advance notice by calling 407-938-9044 (Monday - Friday, 10 am - 5 pm), or emailing Erin McKenna's at bakeryorders@erinmckennasbakery. 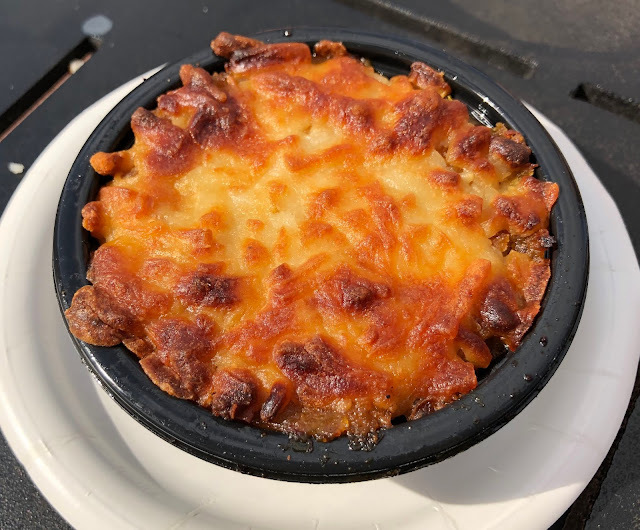 Our favorite restaurant for Thanksgiving and Christmas dinner is Sanaa at Disney's Animal Kingdom Villas - Kidani Village. When we lived in Orlando, we loved to have Christmas dinner there, and now our tradition is to dine there on Thanksgiving. 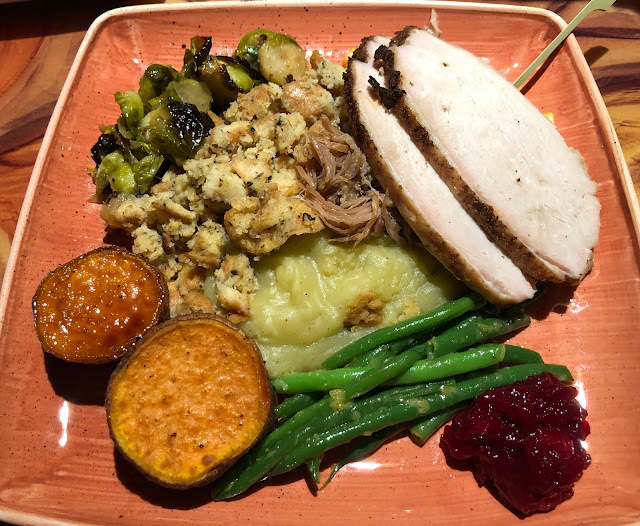 This year, I ordered the Thanksgiving Day Dinner with carved turkey, tandoor spiced confit, hibiscus glazed yams, green beans with apricot butter, roasted brussels sprouts, gluten free naan bread stuffing, mashed potatoes, and ginger-cardamom cranberries. It really was an incredible feast. They even had gluten free gravy, but not being a fan of gravy, I asked that it be left off my dish. 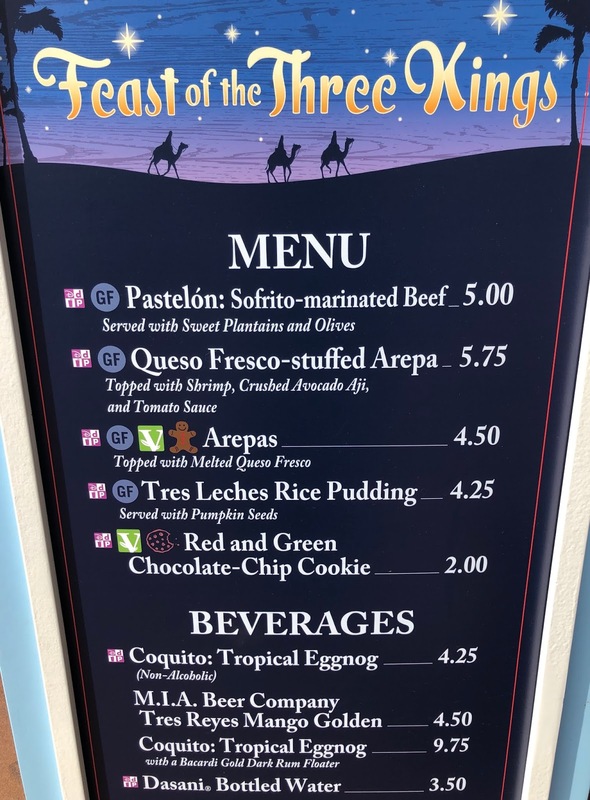 The last two years, Sanaa has had a gluten free holiday dessert option. 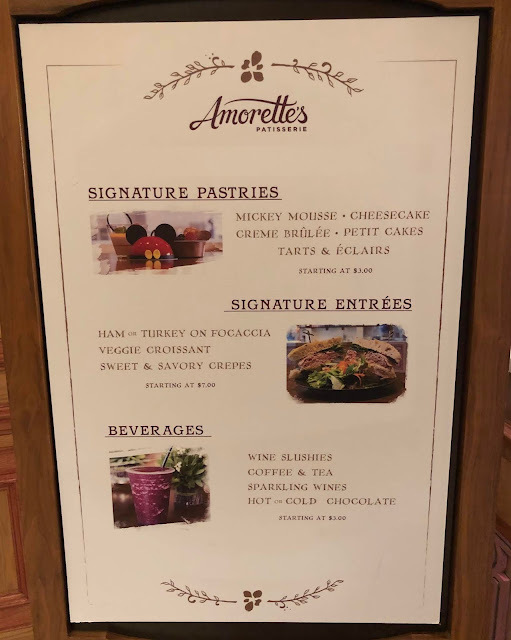 This year, I ordered the harvest pudding with sweet cornmeal custard, creme anglaise, vanilla bean ice cream, and cranberry cherry gel. We all loved our meals, so we will definitely be back again next year. I wish I had bought my daughters Countdown to Christmas calendars while we were at Disney World. 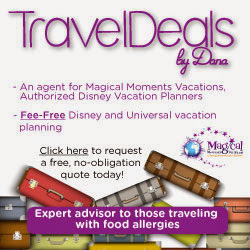 We have purchased them in the past, and have always enjoyed the chocolate, which does not contain gluten. I picked up a gluten free option at my local grocery store when we got home, but my girls did not like the chocolate. Overall, we had a great Thanksgiving Break trip to Disney World. At first, my daughters were upset that we were not staying at Disney's BoardWalk Resort, like we did last year, but we all loved how beautiful Disney's Wilderness Lodge was once the holiday decorations were put up. 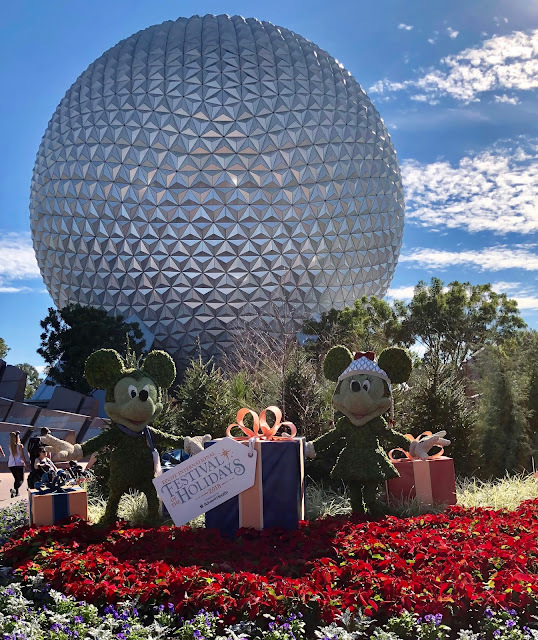 We were disappointed that nothing was decorated when we arrived on Saturday, but Disney's elves must have been very busy Sunday night, because the resort was decorated for Christmas when we woke up Monday morning. What are your favorite holiday traditions and gluten free eats at Disney World at Christmas?